Kenmore has a great reputation when it comes to home appliances. They have everything from washing machines, dishwashers and refrigerators. The company has an excellent inventory of home appliances that would look great in any home. Kenmore also provides their customers with high efficiency and cost effective products. Kenmore has an impressive line of water heaters to help with your water needs. In times, where we as homeowners want to save as much money as we can, wherever we can, wouldn’t having an energy efficient water heater help you save money? Kenmore stands behind every product they sell and they have excellent warranties. There are two Kenmore Water Heaters that stand out the Kenmore Power Miser 9, which is a 50-gallon Gas Fired Water Heater and the Kenmore 40 Gallon Gas Fired Water Heater. These gas fired water heaters are for residential use only and they are high performance and high quality water heaters. Take a look at what Kenmore has to offer their customers. The Kenmore Gas Fired Water Heater contains Foamite Insulation that helps contribute to the efficiency of the water heater. The Cold Water inlet Tubes or Dip Tubes are made from a strong PEXAN Polymer, which will contribute to the long life of the water heater. The insulation R Valve is 8 and the depth of the insulation is about one inch. The unit also has an energy saving pilot and nylon drain valve. You will also have a factory installed temperature and pressure safety valve and an aluminum steel multi-port burner. The Kenmore Power Miser 9 has a 50-gallon water tank with an hourly BTU rate of 50,000. The recovery rate on this water heater is 51.2 gallons per hour. The amount of Therms per year on this system is 254. The gas type is a standard natural gas and a required venting size of 4″. There is a 9 year limited warranty for both parts and for the tank. It is important to read the warranty information, so you will have an understanding about what is covered and what is not. Never try to install a water heater yourself; it would be a good idea to call a qualified plumber to install your unit. The Kenmore 40 Gallon is a Gas Fired Residential Water Heater. This water heater is an energy efficient water heater that has been rated with Energy Star Rating. 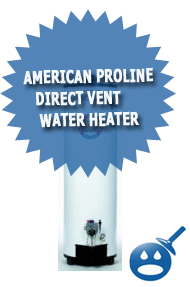 This water heater is a self-cleaning unit that includes their own Roto-Swirl cold water inlet tube or dip tube. 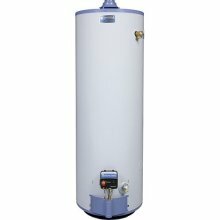 This water heater is Cobalt Blue with a special coating to protect the water heater from rust and corrosion. 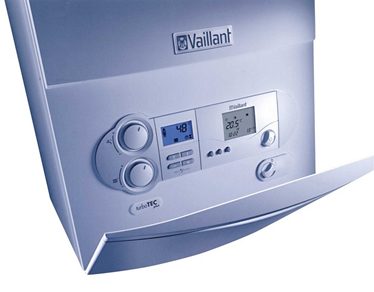 The unit has a factory installed Temperature and Pressure Relief Valve and a BTU of 40,000. This gas fired water heater uses Natural Gas only. The recovery rate for the Kenmore 40 Gallon Gas Fired Water Heater is 40.9 gallons per hour. The minimum vent should be 3″ or 4″ and a 20″ in diameter. 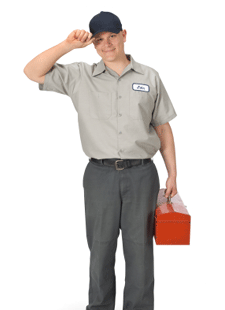 If you are looking to replace your old style water heater with a new one. Kenmore not only has the reputation for being the best manufacturer of home appliances. 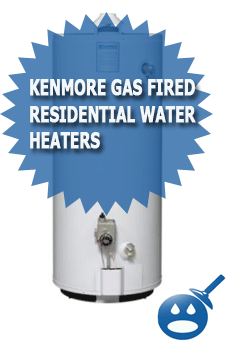 So why not choose Kenmore as your water heater company. They have a full line of water heaters; check out the complete line at your local retail store where they sell Kenmore appliances. You may want to do some research. The 30 Gallon Miser 6 has nothing but problems. Had a little over two years and already need to have a second control valve put on. Been informed that it is probably not the issue seems like Thermocouple, or who knows what else. Been out now for 4 days and just informed yesterday have to wait now until the 19th today is the 10th. Out of hot water all this time. The phone-go-round at sears is a joke. Will never buy another sears/kenmore anything.